And my estimates of the Diamond sales for April are now online — sorry for the delay. 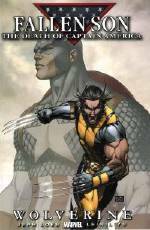 Another strong growth month for the industry, helped considerably by the various Civil War trade paperback releases. It's only the second month that Diamond's Top 100 trade paperbacks topped $5 million in sales.